It is the last day of fall and all the creatures at Redwall are getting ready for the arrival of some special visitors. Bungo the mole and Tubspike the hedgehog are the first to see them coming. It is a group of performers who call themselves the Traveling Thistledown Troupe and who will give the Redwallers a show after which they will join the Redwall creatures for a fabulous and delicious feast. As the show unfolds we meet all the performers; we laugh at their antics and funny little speeches, their tumbling, their dancing, and their silly songs. We are in awe of the strength of the great badger Mighty Bulbrock Broadstripe, and delight in the juggling of a pair of otters. In short, this is a wonderful performance complete with clowns, a magician, jugglers, singers, a flying trapeze act, and a loud and decidedly funny master of ceremonies. Of course the time eventually comes when the Dibbuns, the littlest Redwallers, have to go to bed. Luckily Constance the Badgermum is willing to tell the little moles, hedgehogs, voles, mice, and squirrels a wonderful bedtime story about the coming of the Snow Badger. All the grown-ups, or rather almost all of them, think the story is just that, a story. But there are some within the walls of Redwall who know that the Snow Badger is more than just a character in a tale. 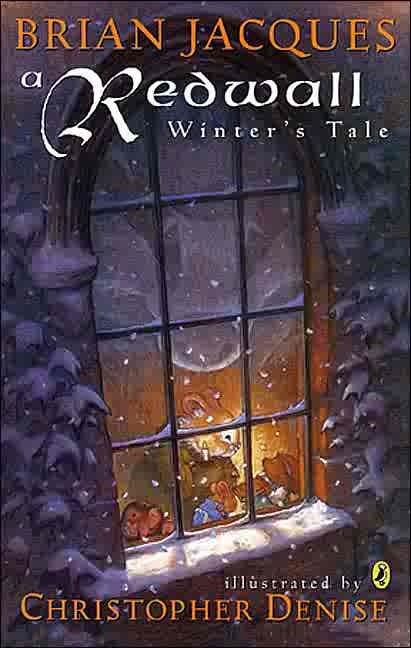 The narrative is seamlessly blended with sections of poetry, the latter of which helps paint a picture of the place, the season, and which helps us see Redwall with is kindly collection of animals, his huge halls, and its cozy fires.